Thanks to incredible medical advances, cataract surgery is one of the safest and most successful procedures performed today. Cataract surgery is generally a simple outpatient procedure with little discomfort. Until now, traditional cataract surgery procedures were performed by the surgeon manually using a stainless steel blade for all the incisions. With the introduction of the LenSx® laser, the first FDA approved laser for use in cataract surgery, the surgeons at Mississippi Vision are the first in Mississippi to have the ability to create incisions and reduce astigmatism without the use of manual blades. These incisions are more accurate and precise, thus eliminating some of the variables that have complicated cataract surgery in the past. 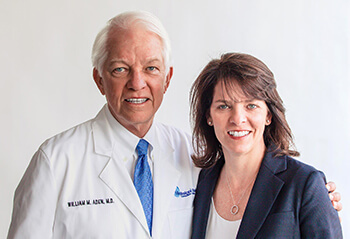 LenSx® laser cataract surgery revolutionizes today’s cataract procedure and as a result, patients now have the option of choosing a bladeless, computer-controlled laser to perform the most critical steps of cataract surgery. The LenSx® laser is an advanced femtosecond laser-based technology that operates with unmatched precision and computer-control, helping surgeons to customize the procedure to your eye. It is unquestionably the most technologically advanced option for cataract patients. When you choose to have cataract surgery with the LenSx® laser, you’ll enjoy a range of vital benefits. While all human eyes share the same basic anatomical structure, every eye is just a bit different in terms of size, depth of the space behind the cornea, a curvature of the cornea, the exact position of the lens within the eye and other key features. This is why every eye must be mapped prior to cataract surgery. While these measurements have been routinely performed prior to surgery, the LenSx® laser uses a range of highly advanced technologies, including integrated Optical Coherence Tomography (OCT) to capture incredibly precise, high-resolution images of your eyes in real time during surgery. These images and the measurement data they provide are then used to plan and perform surgery to exacting specifications not previously attainable with traditional surgery. The incredibly advanced LenSx® laser is designed specifically for performing the most delicate parts of cataract surgery. 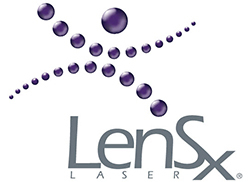 LenSx ® uses a laser source to produce femtosecond laser pulses; an aiming system to localize specific targets in the eye; an optical delivery system to precisely deliver laser pulses to desired targets in the eye; and a computer controller to perform clinical procedures. For more information, please click here and read our LenSx® Laser informational PDF. 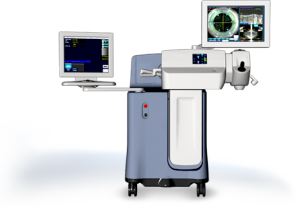 Cataract surgery using the LenSx® laser is the most technologically advanced option available. Talk to L. Brannon Aden, M.D., William Aden, M.D., or Christopher Evans, O.D. at Mississippi Vision Correction Center, PLLC to learn if this technology is right for you.